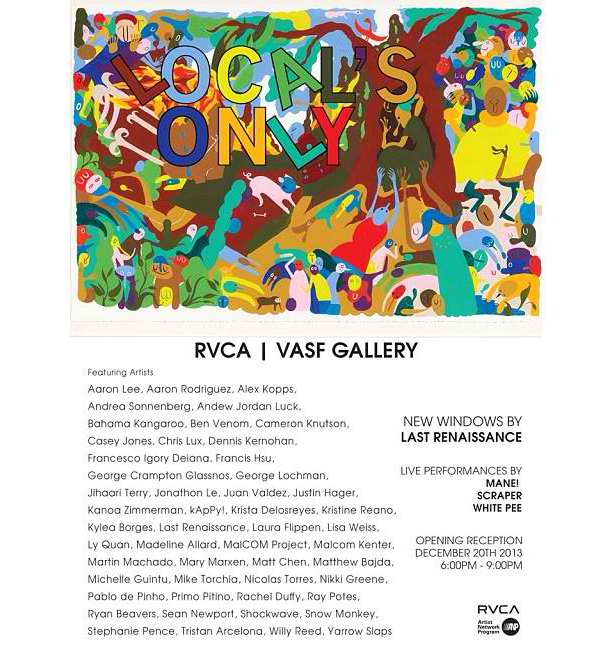 RVCA San Francisco “Locals Only” Winter Group Show! I'm sooo excited to be a part of this roster of talented folks. It will be great to show with some of my old Bay Area friends and to meet some new ones. Come out for the opening if you're in town, it is sure to be one hell of a party! Categories: Announcements and shows. Bookmark the permalink. Comments Off on RVCA San Francisco “Locals Only” Winter Group Show!